Upon arrival at Goa Railway Station /Airport get greeted by our representative who will transfer you to the pre-booked Hotel/Resort. Evening free to stroll on the beaches & chill out at the beach shacks. Overnight stay in Hotel..
After breakfast depart for North Goa Tour. 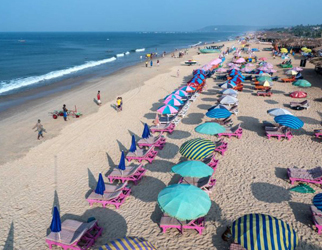 Places to cover in North Goa will be Coco beach, Fort Aguada, Dolphin Trip (On your own), Vaga Beach, Anjuna Beach, Calangute Beach. By late evening return to hotel for Overnight stay. Today we will be heading on towards South Goa. 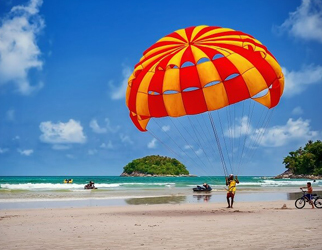 Places to cover in South Goa will include visits to finest heritage places in Goa. We will start off with Basilica of Bom Jesus, A World heritage site which holds the remains of St. Francis Xavier. Thereafter you will have a choice to either explore Museum of Christian Art or Wax World Museum near Gandhi Circle. Our trip will continue to Mangueshi & Shantu Dugra Temple. At last, our South Goa sightseeing will finish off with a visit to Ancestral Goa – A recreational yet educational spot at Loutolim . Late evening return to hotel for overnight stay. Any Personal Expenses – Laundry, Shopping, Tip Etc..